CAE today announced it was awarded a contract to provide Aeronautica Militare Italiana (Italian Air Force) with an Unmanned Aerial System (UAS) Mission Trainer representing the General Atomics Predator remotely piloted aircraft (RPA). With this contract, the Italian Directorate for Air Armaments and Airworthiness answered to the Italian Air Force's need to complete the full spectrum of required capabilities in the RPA sector. The new CAE UAS Mission Trainer will boost Italy's training capability by enabling the Italian Air Force to rely less on live flight training and allow Predator crews to increasingly practice procedures to counter potentially catastrophic emergencies. In addition, the Italian Air Force will be able to conduct networked training exercises, thus maximizing the operational experience gained in the last decade of employment of such effective and combat proven systems. "With this new training system, Amendola Air Force Base will further develop its capabilities in the RPA initial and recurrent training sector and present itself as a relevant Centre of Excellence in the European region," said General Preziosa, Chief of Staff, Italian Air Force. "We are pleased to be supporting the Italian Air Force with its Predator training requirements, and this contract reinforces our growing international partnership with General Atomics to provide comprehensive training solutions for the Predator family of remotely piloted aircraft," said Gene Colabatistto, Group President, Defence and Security, CAE. "CAE has a long history of supporting the simulation and training requirements of the Italian Air Force on platforms such as the C-130J and M-346, and we look forward to continuing this support for the Predator." 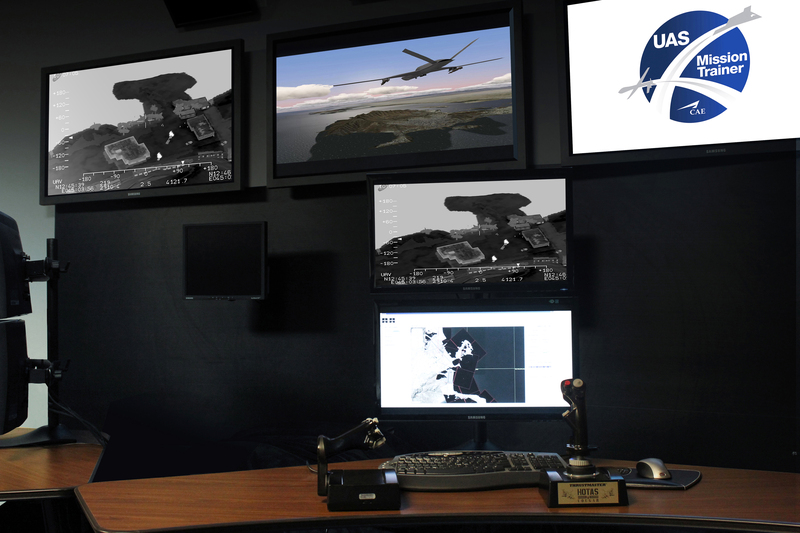 A high-resolution photo of the CAE UAS Mission Trainer is available on www.cae.com/photos.